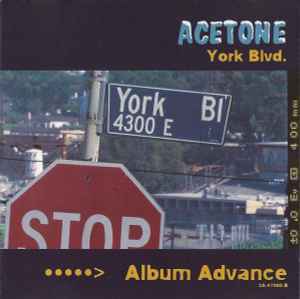 Acetone (3) ‎– York Blvd. Album advance. Promotion Only - Not For Sale. Due In stores October 2000. Back sticker states: In stores JANUARY 16!!! "There is so much noise out there, sometimes you just want something to sound pretty". Richie Lee, ACETONE.